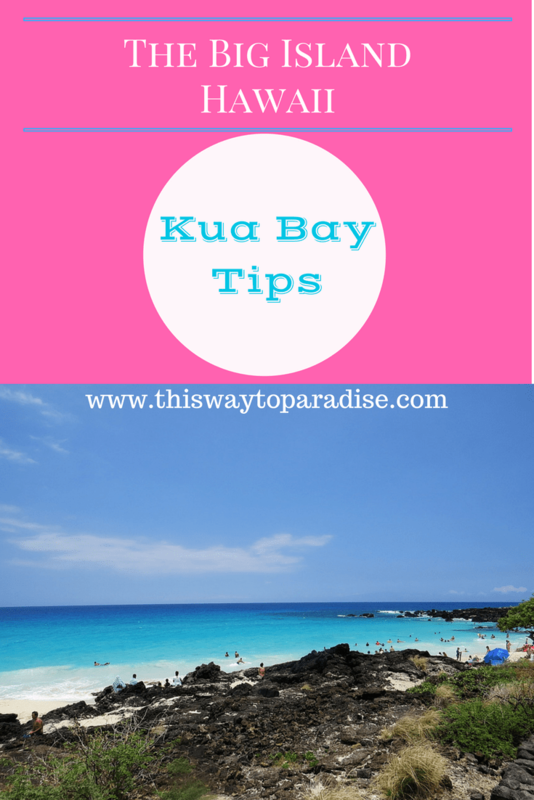 If you’re looking to explore Big Island beaches near Kona in Hawaii, Kua Bay is definitely beautiful. 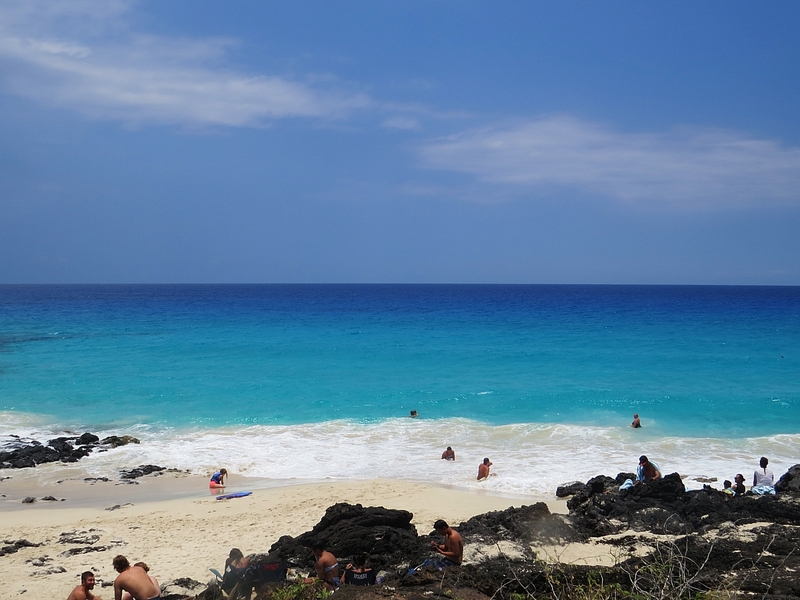 Also known as Manini’owali Beach, the water is clear turquoise and the white sand is perfectly soft. However, it is a very small beach, and it can get very crowded. It’s just above the airport, so it’s a short drive from Kona. Bring snorkel gear, as the snorkeling is stellar when the water is calm. 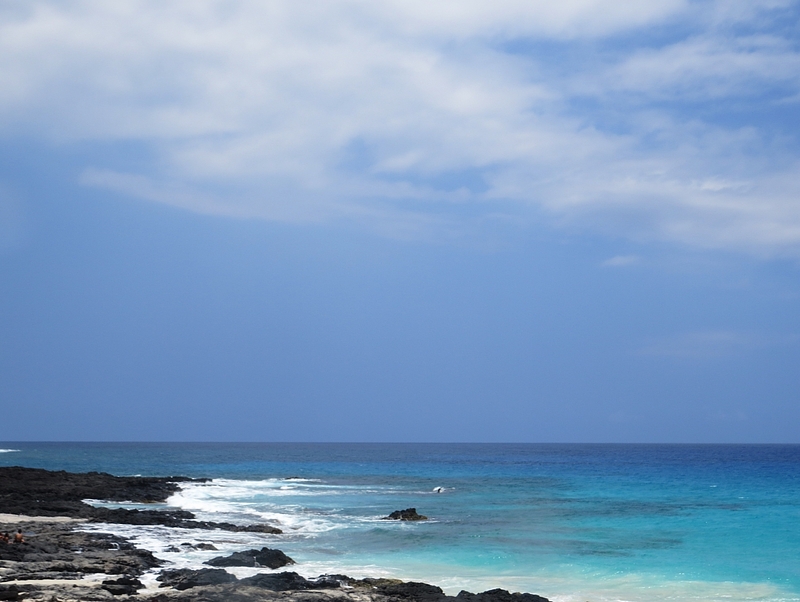 It’s a great place to spot turtles and the occasional dolphin or monk seal. But, be aware that the waves can get rough here, and there is sometimes an undertow. I got caught in one when I went, so pay attention to the water conditions before getting in. There is no lifeguard on duty, so use caution, especially if you have kids. Experienced swimmers will want to bring their boogie boards, as the boogie boarding is awesome when the waves kick up. Also, there is no shade here, so bring an umbrella if you don’t want to be in the sun all day. Sometimes a food truck comes to sell snacks, but bring your own food and drinks, as there are no permanent places to buy food near the beach. There are restrooms with showers at Kua Bay, but there is also very little parking. So, arrive early. To get to the sand, you have to climb over the lava rocks, so be sure to also bring proper footwear. 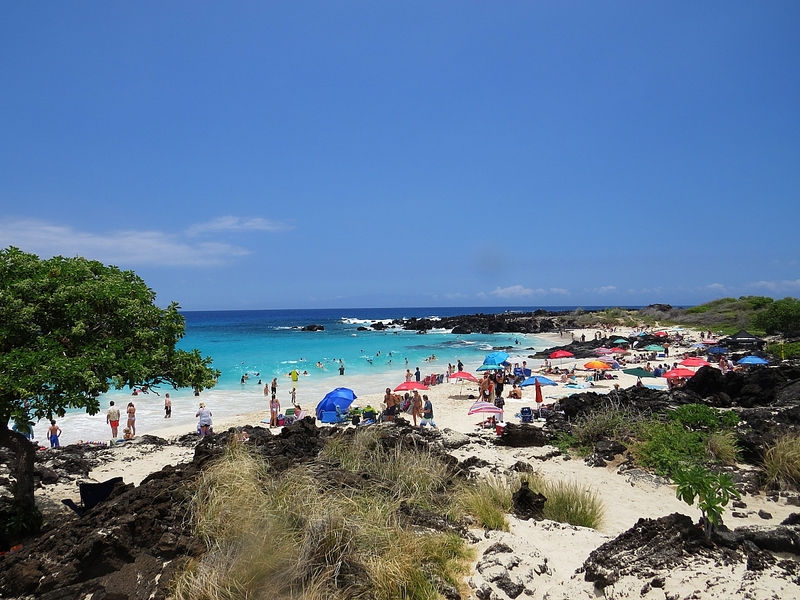 Kua Bay is considered to be one of the best beaches on the Big Island. I was glad that I went for a visit, but I didn’t stay long. The crowds and the rough waves were a bit much for me, so I went in search of a more private beach. I think I would have enjoyed it more if I had gotten there earlier in the day when it’s less crowded. If you are driving from Waikoloa on Hwy 19, turn right when you see the sign for the Veterans Cemetery. If coming from the airport, turn left.